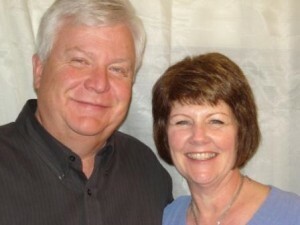 Biography: David and Ellene Meece have been connected with FMIN since 1998 when Ellene began working with the Dave and Bonnie Duell in the Network. Ellene continues to work with the Network as the Director of Workplace Leaders Network. The Meeces are blessed in their entrepreneurial pursuits, having many interests. David operates a natural resource company, GECI, that is developing and marketing natural resources in the Rocky Mountains and Intermountain Basins of the USA. GECI will extend beyond this region by providing commodity-based investment opportunities to the financial industry. David also works in the field of communication as a Web Host and Satellite Technician. Ellene has expanded her organizational skills to include Colorado Creative Decor, an interior decorating business, Grandma's Treasures Online, an antique and collectables retailer, operates a guest house/RV Park in Meeker, Colorado, and holds a position with the City of Meeker. David and Ellene have focused on integrating into the local churches and community by giving support and energy to the projects they initiate. Ellene has been involved in cross-denominational ladies events and Bible studies, as well as the local Christmas Community Choir. To reach local and world-wide audiences, they are in the process of setting up a GECI website to write their business philosophy and present the "God projects." Strengths: David is a gifted teacher and retains a large volume of information and insight. He is able to share his information and insight in interesting and entertaining ways. Ellene's gifts are on the social and organizing side. She is an asset in business and Network social settings and in organizing the structure and administration of Workplace Leaders Network.